You'll be £25.00 closer to your next £10.00 credit when you purchase 200 Years of The Lancaster Canal. What's this? Order within the next 7 hours, 2 minutes to get your order processed the next working day! 2019 marks the 200th anniversary of the completion of the Lancaster Canal from Wigan to Kendal. Designed by the celebrated engineer John Ronnie, it is notable for a large number of aqueducts, including the magnificent Lune Aqueduct at Lancaster. A large aqueduct across the Ribble Valley at Preston was never built, leaving the canal in two sections connected by a temporary horse tramroad which became permanent. Consequently the 57 miles from Preston to Kendal remained isolated until 2006, when it was connected to the main network via the Ribble estuary. Before the railways were built the canal was unique in running a highly efficient passenger service and for several years actually took over a main line railway company. In 1947 the final 15 miles to Kendal were closed and partly drained. 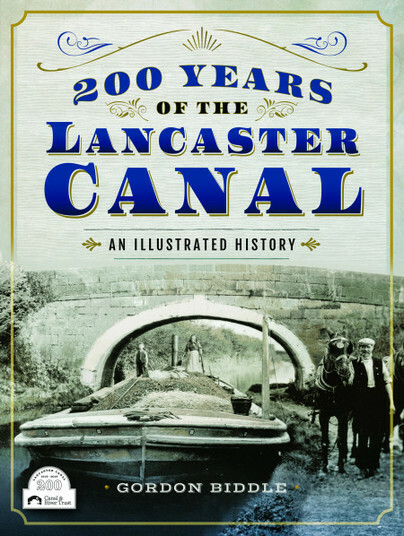 The author was an early member of the Lancaster Canal Trust in 1963, which is now at the forefront of a campaign to re-open the closed section. This book examines the history of the waterway, its powerful effect on the 18-19th century economy of north Lancashire and south Cumbria, the canal as it is today and the offers being made to restore it to navigation throughout. The subject matter is well researched and informative and benefits greatly from the authors local knowledge. This is an important work and the book has to be regarded as a major contribution to the history of the canal. A very timely book given the centenary. Gordon has been a member of the Lancaster Canal Trust since its inception in 1963 and has co-authored a number of important canal histories and is rightly considered an authority on Britain's historical canals and railways. This book examines the history of our waterway, its powerful effect on the 18th-19th century economy of north Lancashire and South Cumbria and the canal as it is today. It contains a wonderful selection of old photographs of the many magnificent structures to be found along its length. The book would make an excellent addition to any canal and railway enthusiast’s shelves. Gordon Biddle offers a clear and well illustrated account of the canal and the complex relations with railways. He adds the recent history and partial restoration of the canal, despite the damage wrought by M6 motorway construction. An enjoyable book. Well-written and nicely presented history of a hugely characterful waterway, with the proceeds of its sale going towards the restoration of its Northern Reaches. Gordon Biddle has carried out extensive research and has written twelve books and numerous articles on the history of railways and inland waterways, their engineering and architecture. He is a vice-president of the Railway and Canal Historical Society, and in 2012 Prince Micheal of Kent presented him with the Transport Trust's Lifetime Achievement Award for recording historic railway and canal infrastructure.